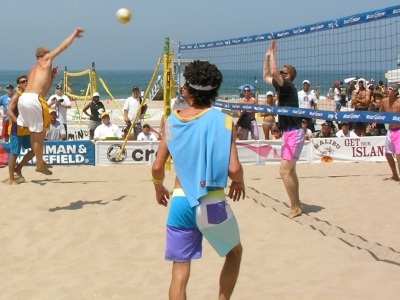 The Manhattan 6 Man Beach Volleyball Tournament is officially known as the Surffestival - The Charlie Saikley Volleyball Tournament. The 6-Man! SIXMAN! 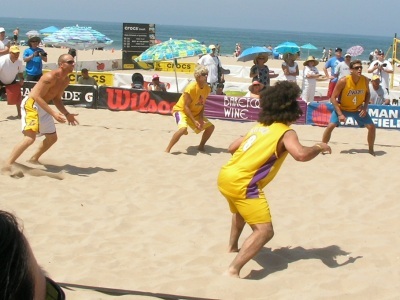 The Manhattan Beach Six-Man! 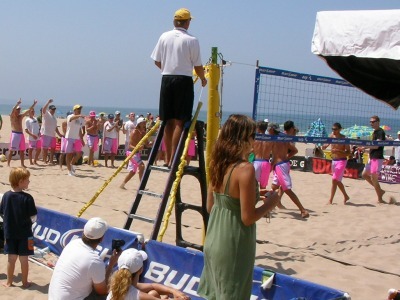 This tournament usually takes place about the first weekend of August. South side of the pier. Don't even think about finding parking after 10am. Show up, play some volleyball, have some cocktails. 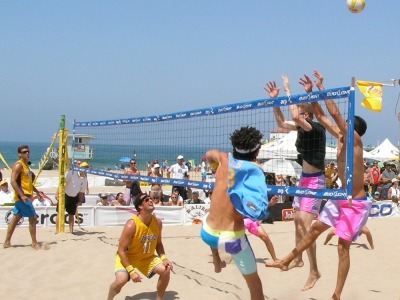 Volleyball all day. Party all night. 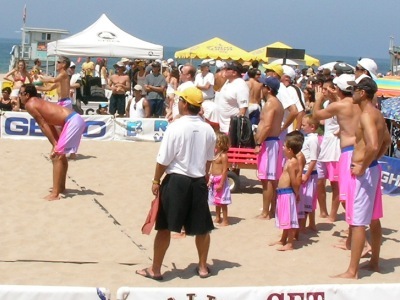 What is the Southern California "6 Man" Tournament? 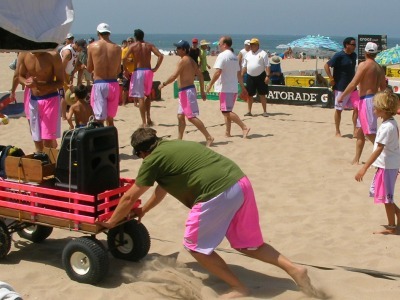 This is a very popular event that takes place near Manhattan Beach Pier. 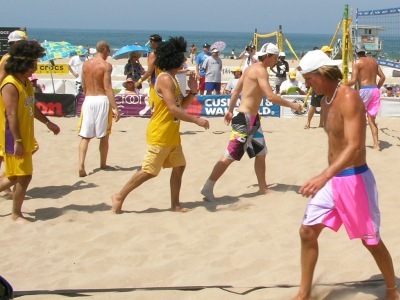 Six man beach volleyball teams dress up in costumes and compete, play volleyball, and party. 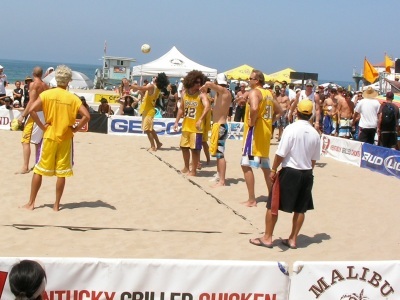 Many teams camp out in front of Manhattan Beach City Hall each year for up to 20 hours for a chance to play. 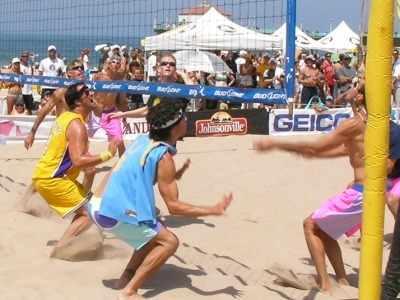 Most teams are still turned away due to the extreme level of competition. 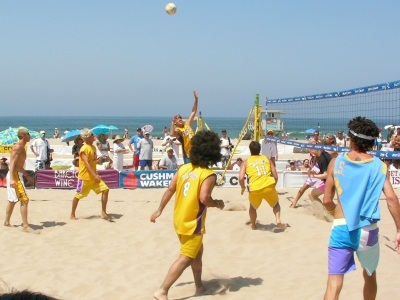 The tournament is usually booked solid for several months in advance. Professional players and wannabe pros come out and play. 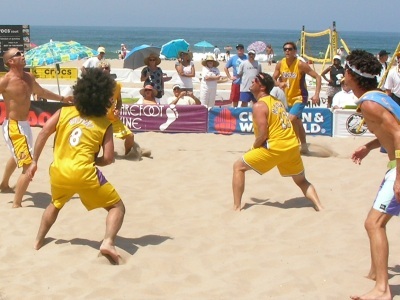 The tournament usually consists of teams of 6 (Mens' and Womens' divisions) playing in a round-robin format. 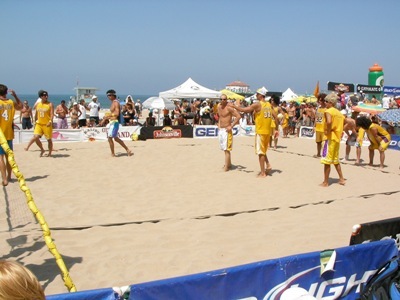 This annual volleyball tournament is held in Manhattan Beach, California where there are 100's of teams playing all weekend. This is actually a very competitive tournament. 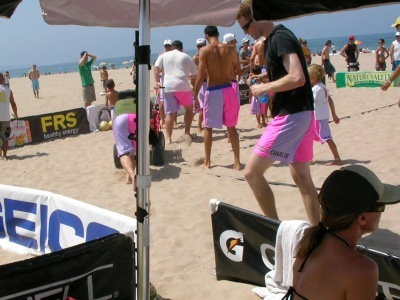 Many former AVP pros compete real hard to help their team win the tournament. The crazy costumes are probably the biggest difference you'll see out there on the court. 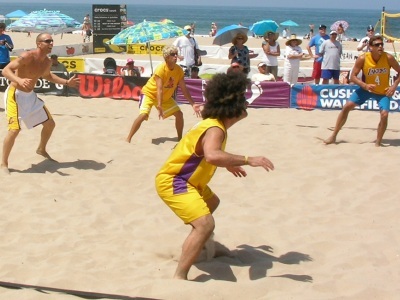 Past teams have included the Magnum PIs, the Lakers, team Lushness, Miss USA, Peanut Butter and Jelly among many others. 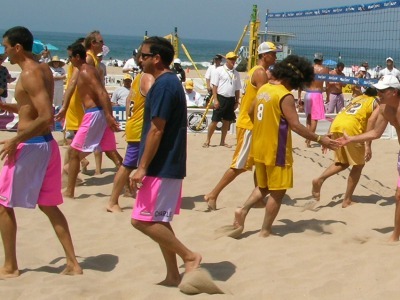 Volleyball players from all types show up to play and have a great time. 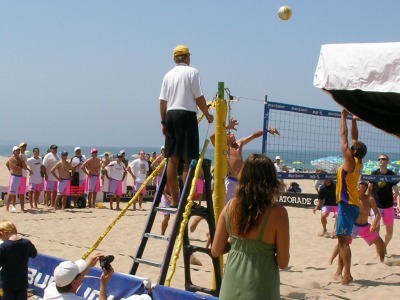 Imagine an AVP pro disguised as Spiderman rising up an and bringing a thunderous spike. Before you head off to the beach bring sunscreen. Dont forget your sunglasses and be ready to party. 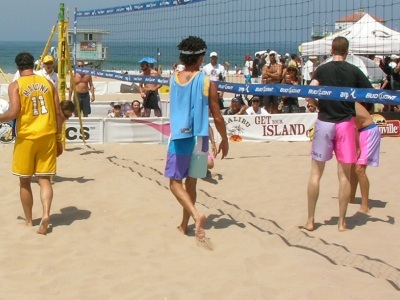 This the single best beach volleyball day of the year.